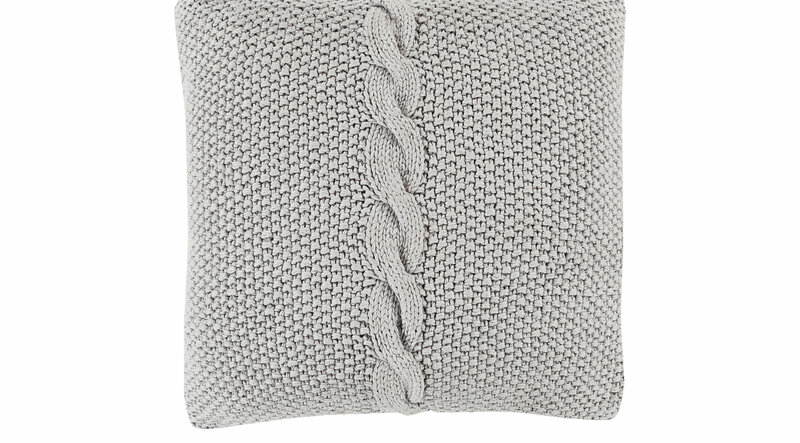 Lending a sense of comfort and warmth to your space, the Cable Knit pillow is a perfect addition to accent a favorite sofa or chair. Handmade in India, a cable knit design in a cool color palette radiates contemporary cheer. One 18 inch square accent pillow.